Why settle for an ordinary horoscope when you can have access to authentic astrologers from Nepal? Better ask real gurus anything you want! • Insightful answers. 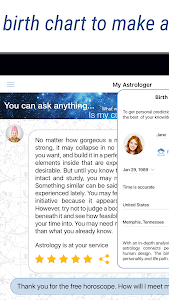 Accurate predictions are just a click away. 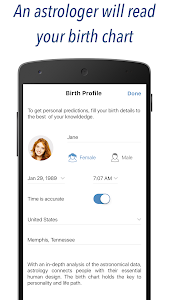 The present, the future will be seen through a birth chart based on your unique date and place of birth. 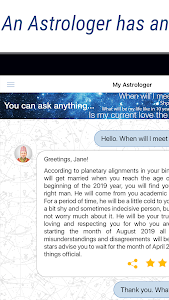 • Informative horoscopes. Regular and inspiring readings will keep you up-to-date with what to expect in your life. Key opportunities won’t be missed. • Personal guidance. Astrology helps you look into the future. Without the right information or advice at hand, it may not be easy to make the right decisions. • Genuine astrologers. With direct access to the largest team of Vedic Gurus on the go, anytime, anywhere, the quality service is guaranteed. Looking for specific insights? Professional astrologers can assist you with all matters you may have in stock. • I am still alone. When will I fall in love and get married? • Is my Ex still in love with me? Will we get back together in 2019? • Is he playing with my heart? What does a compatibility report say? • What is going to happen today? How should I prepare? • I'm having a hard time figuring out my purpose in life. What is my true calling? 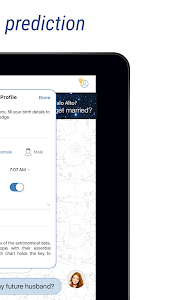 • Is my zodiac sign always correct about my personality? I act more like a different horoscope sign! Vedic astrology has been around for centuries and today it’s extremely popular in modern Nepal and India. Astrology is an integral discipline of study related to medicine and history in the eastern Universities. 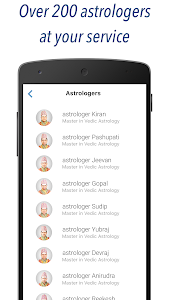 All of our astrologers are hand-picked professionals having diplomas and degrees in Vedic science. 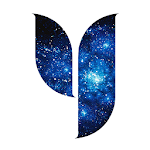 Check how accurate horoscopes and predictions can be for you! 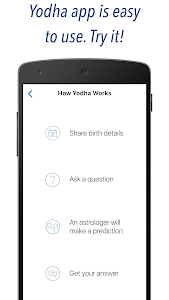 Thank you for choosing Yodha! This update includes performance improvements. To make sure our app better for you, we bring updates regularly. 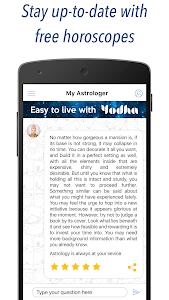 Similar to "Yodha My Astrology & Horoscope"